Versatile design with built-in pneumatic needle valve for liquid flow control and automatic cleanout. Three nozzle body configurations offer flexible tailoring to your specific application needs. 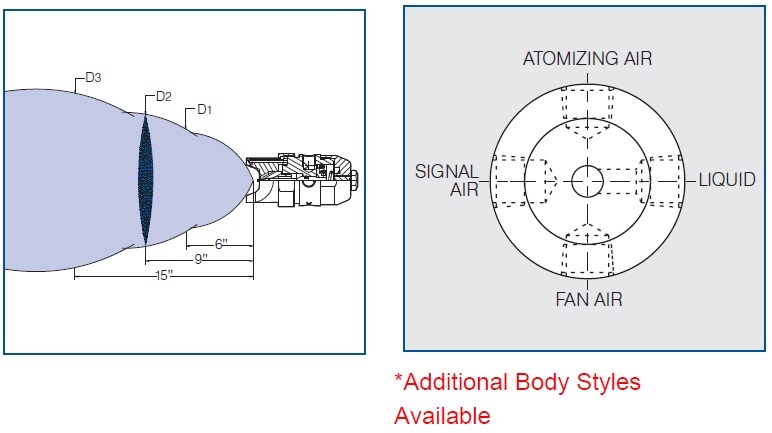 Models feature individual controls for on/off operation, atomizing air, and fan air, allowing adjustments to droplet size amd spray pattern as appropriate without compromising required flow. Designed for greater anti-bearding.